Strawberry preserves & nutella sandwiched between soft, melt-in-your-mouth pastry dough and topped with a bright pink icing. This updated classic will sure to have you coming back for seconds! Good morning and happy Sunday, everyone! This morning I’m baking up strawberry nutella poptarts. How cute are they? Homemade & flaky, stuffed with strawberry preserves and a dollop of nutella. Mhm mhm! Alex said they look like Homer Simpson donuts. I laughed. I don’t even know what to say about these poptarts because I’m so excited to share them. Ehhhhm… they’re amazing? I’ve eaten two already. Whoops. For me, the perfect Sunday includes a fabulous baked good and coffee. There’s definitely a distinction between regular baked goods and Sunday morning baked goods in my mind. Brownies? Regular baked good. Sticky buns? Sunday morning baked good for suuuure. Banana bread? Regular. Strawberry nutella poptart? Well, duh. And for those of you just joining us, be sure to check out my November Giveaway! One lucky person will win a $40 Amazon Gift Card! To enter, click here and scroll to the bottom of the post. Good luck! I’m keeping this short and sweet. Happy Sunday, loves! In a food processor*, pulse together the flour, sugars, and salt. Add in the chilled butter and coconut oil, and pulse again until the mixture resembles coarse crumbs. Pour into a large mixing bowl and slowly (1 tablespoon at a time) add in the ice water, mixing with your hands between each addition. Work fast as to not melt the butter and oil into the dough. Your goal is to keep everything as cold as possible! Stop adding water as soon as the dough comes together. Separate the dough into two oval disks and wrap in plastic wrap. Allow to chill in fridge for at least 2 hours, or overnight. Remove one of the doughs from the fridge. Place a large piece of saran wrap over a work surface, then sprinkle flour over it. Flour a rolling pin. Working quickly over your saran wrap, roll the dough out into a 10″x13″ rectangle. It will be difficult and the dough will be very thin, but you can do it! If your dough begins to break, use a drop of water to seal it back together again. 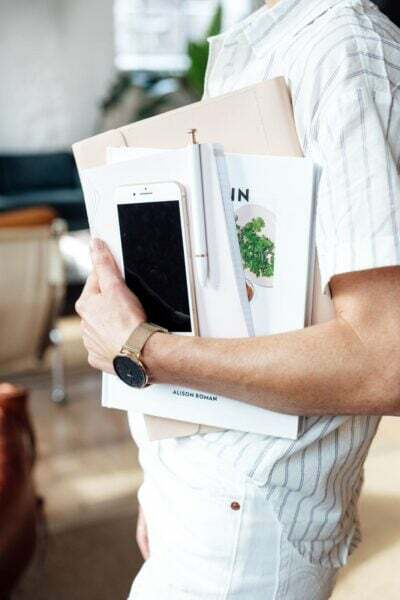 Using a ruler and a pizza dough cutter, cut your 10″x13″ rectangle into a perfect 9″x12″ rectangle. Then, cut your rectangle into 9 equal pieces, each 3″x4″. Lift a corner of the saran wrap up off of your surface to help gently release the 3″x4″ rectangles from their place. Transfer to a large, parchment-lined baking sheet, leaving as little as 1/2 inch between each rectangle. Once all 9 rectangles are moved onto the baking sheet, place the sheet in the freezer while you repeat the rolling & cutting process with the second half of the dough (using a new piece of saran wrap, of course!). Remove the baking sheet from the freezer. Whisk an egg with 1 tablespoon of water, creating an eggwash. Brush each of your 9 poptart bases with the wash. This will help the dough to stick together! Get out the preserves & nutella. Spoon around 2 teaspoons of preserves into the center of each poptart base. No need to spread it around. Spoon the same amount of nutella on top. Place the remaining dough over the base & filling of the poptart, like a blanket. Press down slightly with your fingers to help seal the dough together. Then, using a fork, create indentations around the entire poptart. 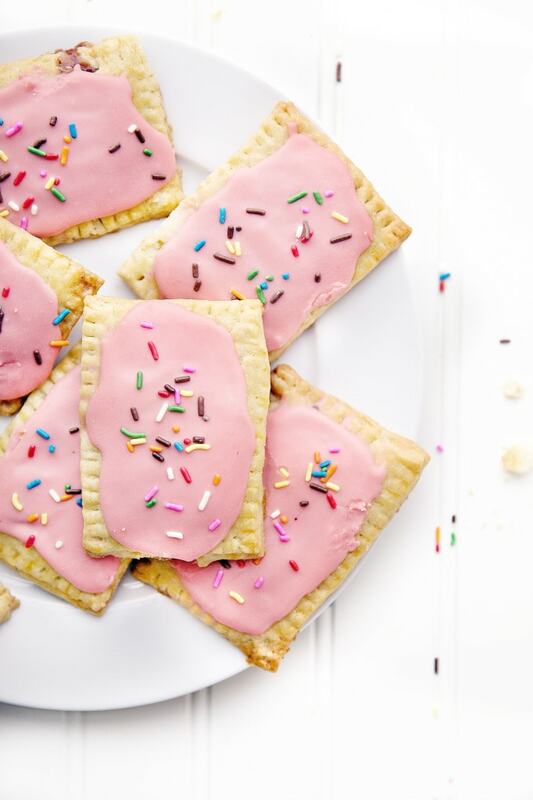 Brush the remaining eggwash over the poptarts, then use your fork to create small airholes on the top. Bake for 30 minutes, then allow to cool completely. While the poptarts are baking, make your icing! Whisk together the powdered sugar with vanilla extract and heavy cream, adding 1 tablespoon of cream at a time. You’re looking for a thick but spreadable consistency (it shouldn’t look grainy at all). Add the food coloring, if using. 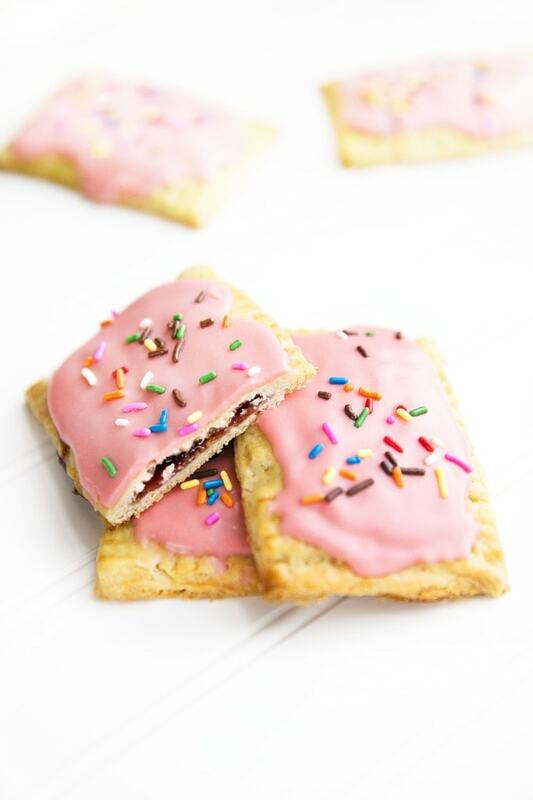 Once the poptarts are cooled completely, spread the icing over the poptarts, then sprinkle with jimmies! *Don’t have a food processor? Not to worry! You can cut the butter and coconut oil into the flour mixture using two forks. It will take more time, but it will do just fine. You are looking for the same consistency of coarse crumbs. strawberries & nutella is definitely a favorite combination of mine! these look 10000x better than the crappy store kind. 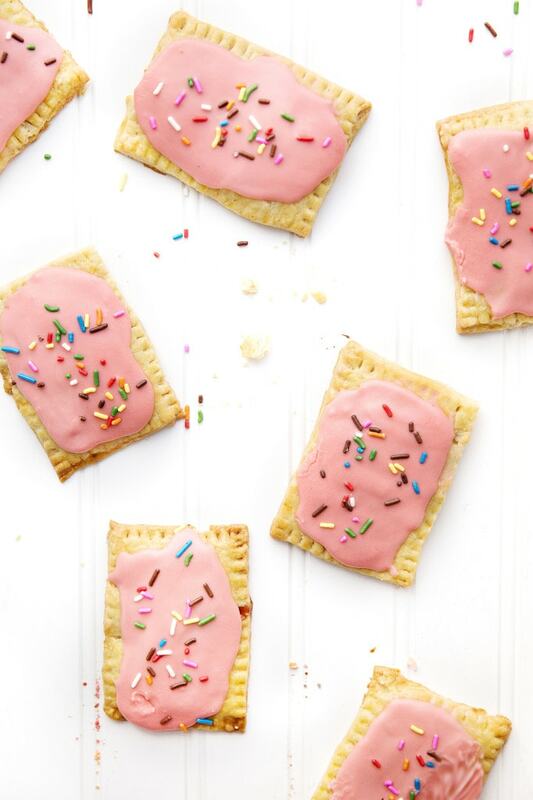 Homemade poptarts? YES please! These are gorgeous!!! Thank you, Jessica! They tasted like heaven! These are too cute! They look so fun and whimsical – I love anything with sprinkles. Pinned! Whimsical is the perfect way to describe them! Thanks for pinning, Rachel! I don’t even like Nutella but these look so good!! Sarah! I’d like a batch of these sent to my house ASAP. So cheerful, fruity, and fresh! Love, love, love them!! I can’t get over these pictures! You’ve got a real talent, Miss Sarah! So, this past weekend I had the most amazing strawberry pop tarts from Ted’s Bulletin and have been craving them every since! These look so so sooo yummy I obviously need to make them like, yesterday. Awesome recipe, Sarah! I cannot even handle these poptarts. I mean, yes, strawberry nutella poptarts sound incredible. But these particular babies with their bright pink glaze and their sprinkled jimmies, they look like a donut straight out of the Simpsons. And I am LOVING it. Like seriously dying over here from the cuteness. Absolutely adoring your enthusiasm. I can’t even. Virtually sending some your way!! These are stunning! That glaze is too cute for words! Gah. Definitely need to try these! Thanks for stopping by, Katrina! Oh my goodness they were insane, you just have to! YESSSSS. Poptarts for the win. I haven’t had one in forever. During college my roommate got me addicted to the ones without frosting; we’d toast them then slather butter all over the top. It was ridiculous. Stop. Too much. Too much want. Omg, too cute for words! Gorgeous pictures Sarah, I am dying over how incredible these look! Pinned! Whaaat?! Thank you, Manali! It was so much fun to read your responses. I have no idea what I’m going to write!!! Maryanne @ the little epicurean. Right? Problem is, now that I’ve eaten all these, I just want Homer Simpson donuts. Why, sweet tooth. Why. I only recently got onto the poptart band wagon, so they are a rarity to find here in Australia. Definitely need to make my own poptarts and follow your recipe Sarah, these look delicious and so much better than any store bought version. HOW ADORABLE!!! they’re almost too cute to eat! These look so cute, I like the pink color and sprinkles of course! Never thought of making pop tarts at home, but this recipe inspired me to try! Great combination of flavors! That’s awesome, Julie! Thanks! Your blog is fantastic, I’m gawking over it now! 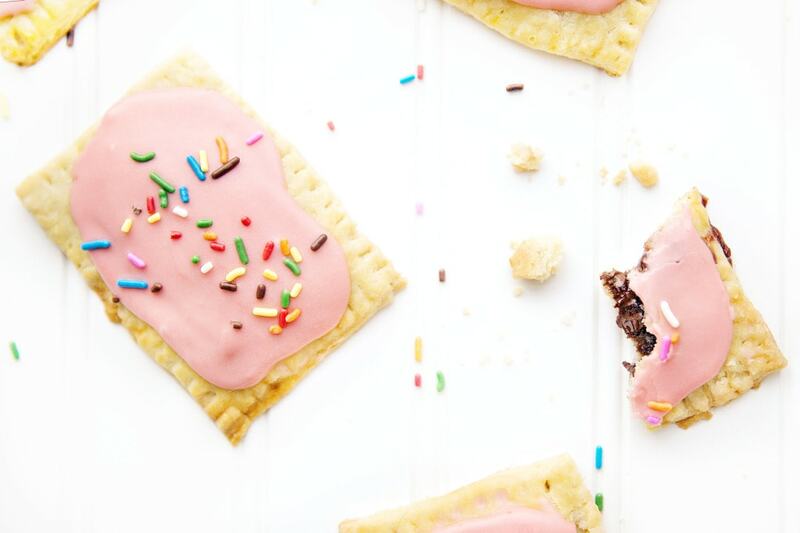 You got me at Nutella… These poptarts looks delicious!!! Making this soon for the kiddos. Pinned! So excited! Hope they like them!! Wait, a pop tart that is also kind of like the Homer Simpson doughnut? You don’t even need to say anything else, I am sold! I’ll take about 10 of these, thank you! I want to jump through my computer screen and devour alllll the pop tarts. 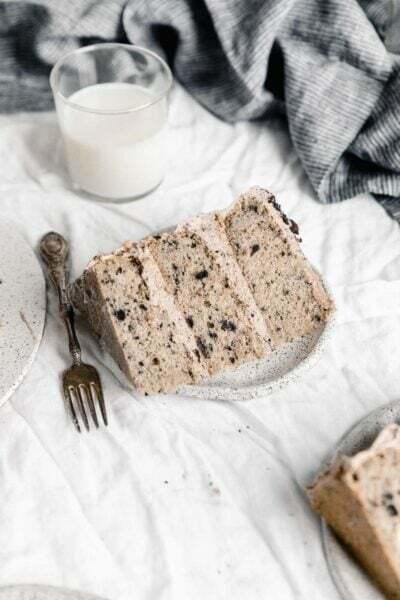 This recipe AND your photography skills are just incredible! 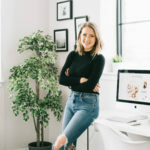 Also, your blog is so beautiful! Gorgeous pictures and really great sounding recipes. Glad to be your newest follower! Oh my god! Pop Tarts are my favorite and to be able to make this bangarang combination is bringing tears of joy to my eyes. Every recipe you share is gorgeous and delicious. This weekend I’m making the best carrot cake EVAH!!!!! Thank you!